I wish I had a picture of the original, but H&M doesn’t have a (real) website, so you’ll have to use your imagination. 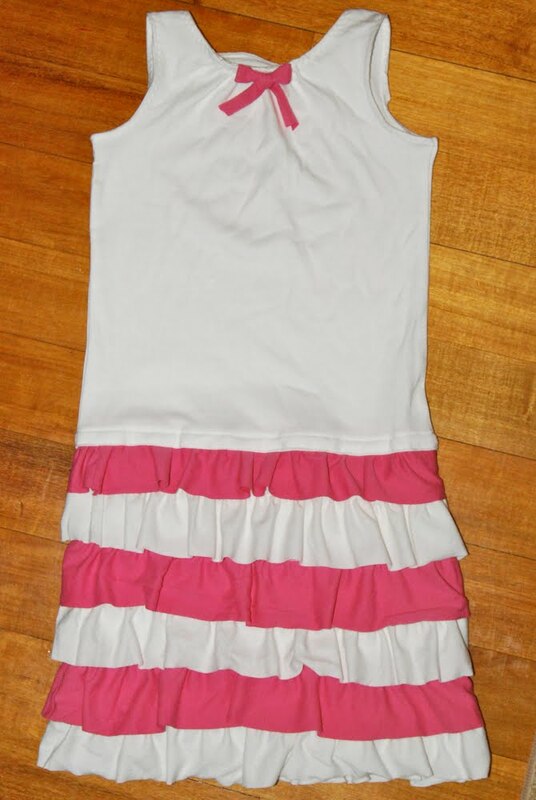 A solid-color, cotton knit tank dress with a drop waist and rows of ruffles on the skirt. 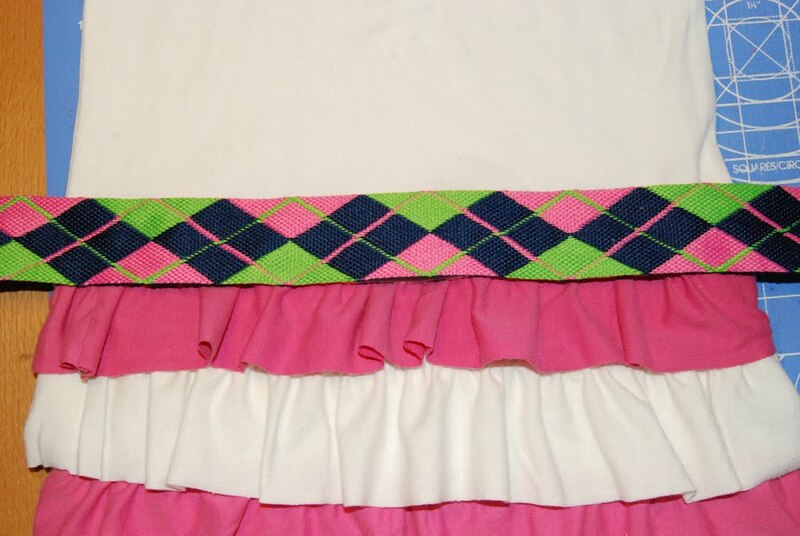 The original had a ribbon belt with a little bow on one hip. At only 10 euros, I almost bought it. 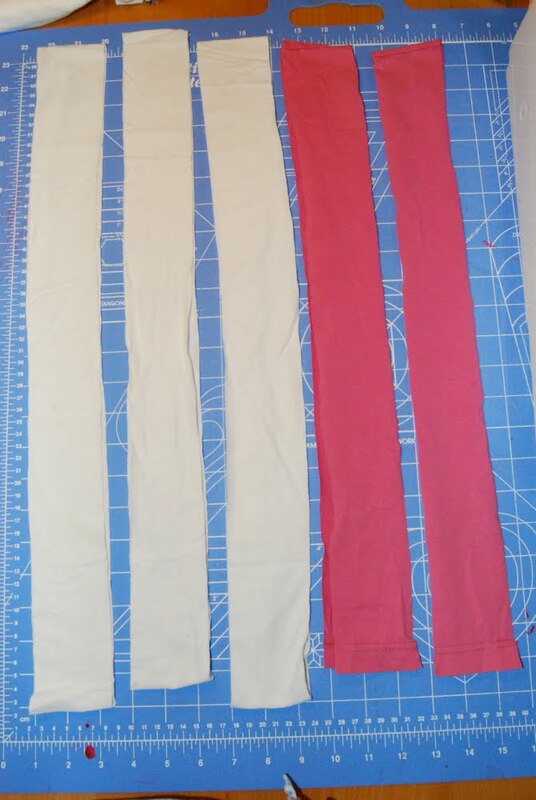 Though I love to sew, I still love to shop, and I can’t pass up a good deal. Even if I could make it myself. 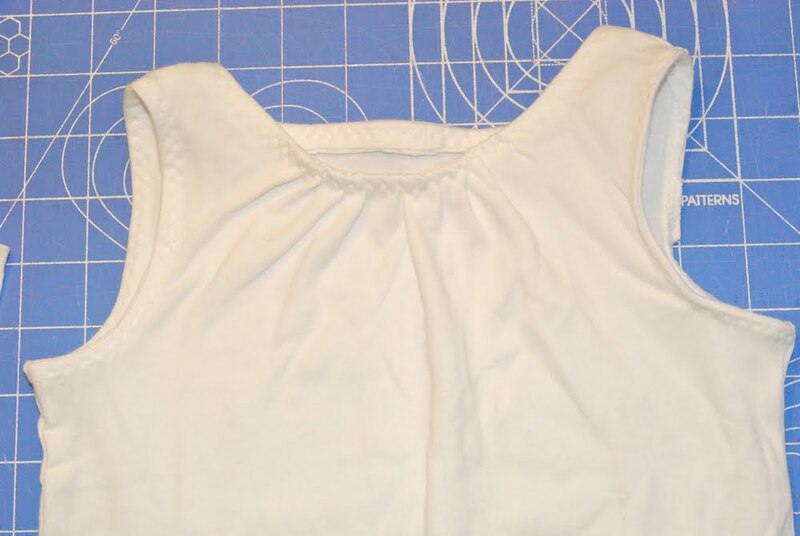 But the thought of all those knit shirts sitting in my refashion pile had me putting this one back on the rack and giving it try myself first. Here’s where the part where I’m a fickle woman comes in. 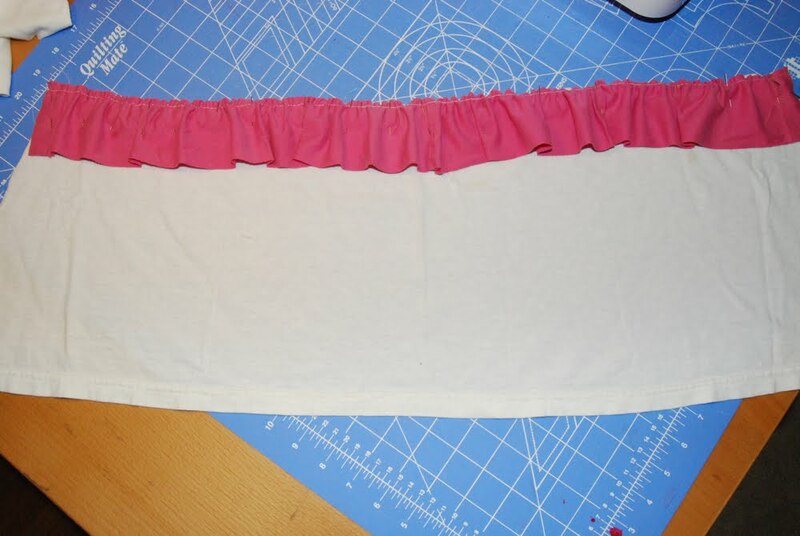 I positioned my ribbon belt over the dress and decided I didn’t like it. 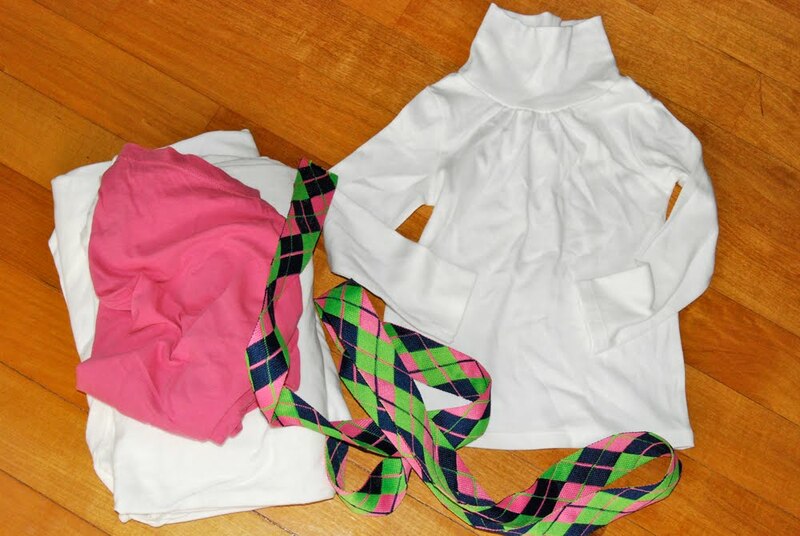 I like simple clothes and all those ruffles were already a bit much for me. So I scrapped it. 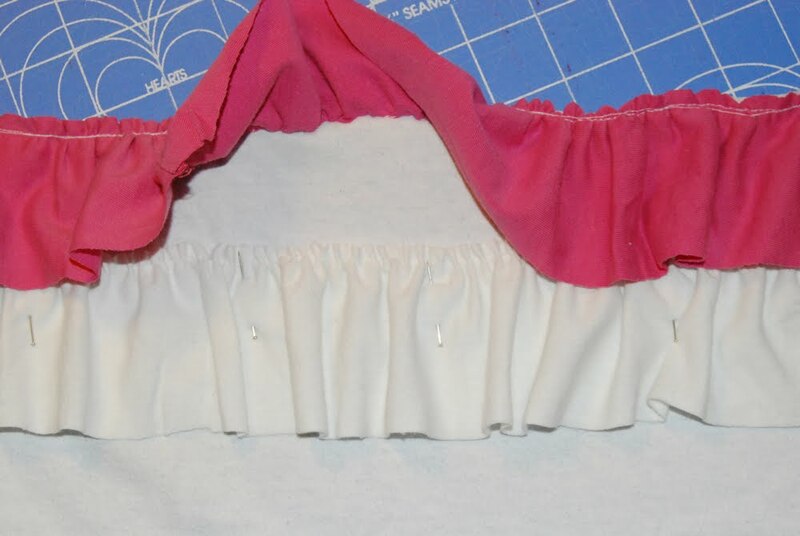 And while I was trying to decide how to embellish the tank, because it so clearly needed something, I absentmindedly tied a little bow with a leftover scrap. So I just slapped that sucker on, and there you have it! 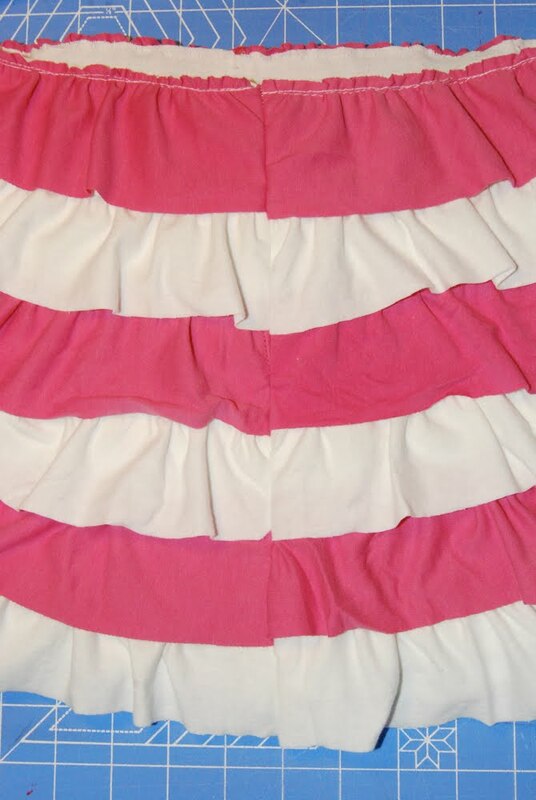 If I were wearing all those ruffles, I’d probably have to do a few spins too. 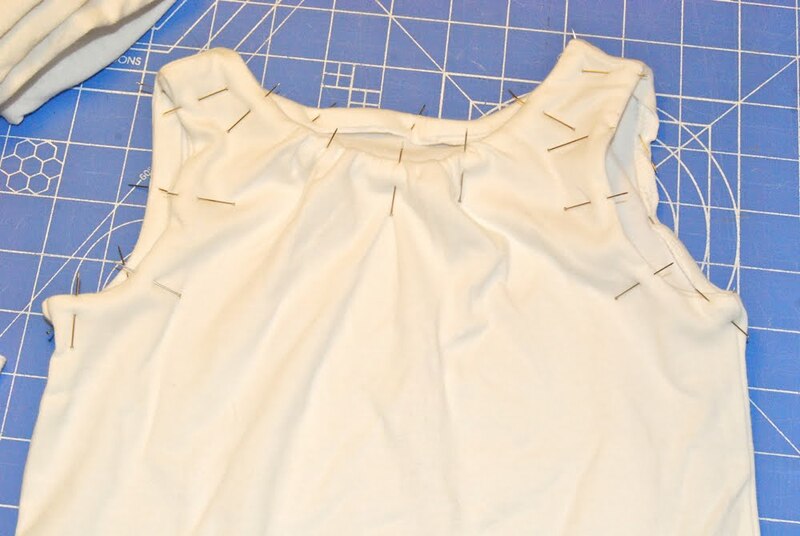 I’ve got a few more copycat dresses on my table, so stay tuned for those! 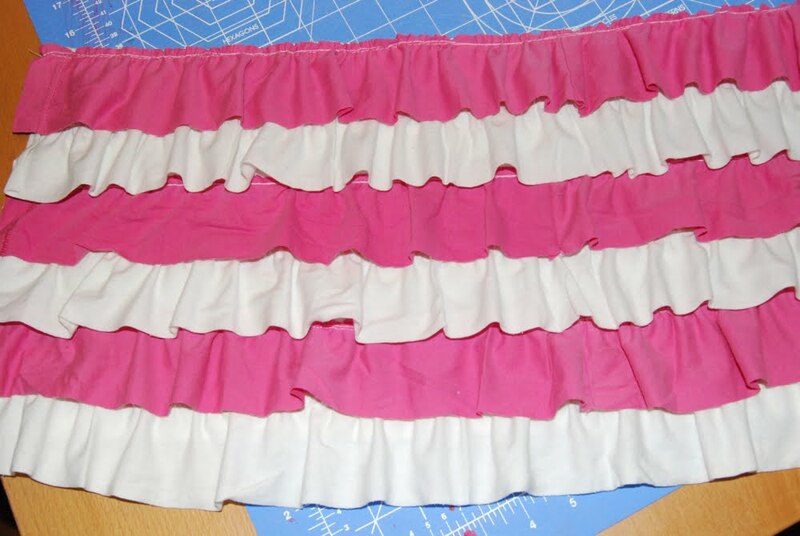 Oh, and if the idea of making all those ruffles and then distributing them evenly is giving you hives (like me), then I suggest something along the lines of this. In fact, I think I actually like that way better. this is jist adorable! 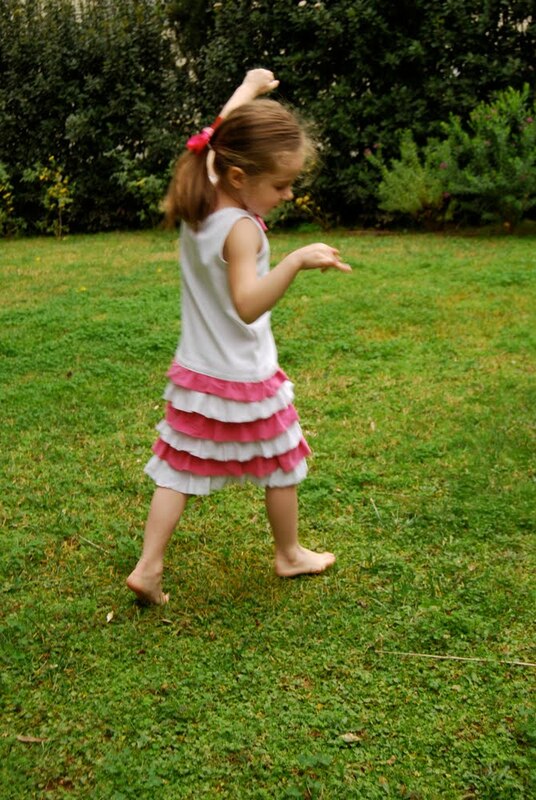 I have to try this myself – my kids LOVE ruffles! Looks amazing. I recognize that belt material from our trip to NY. Good times. Cute! Very Cute! I also HATE turtlenecks. Who knew? We’re more alike than we thought. But the purple hating??? Why? I like purple. That is adorable. Thanks for the concise instructions! SO pretty!! 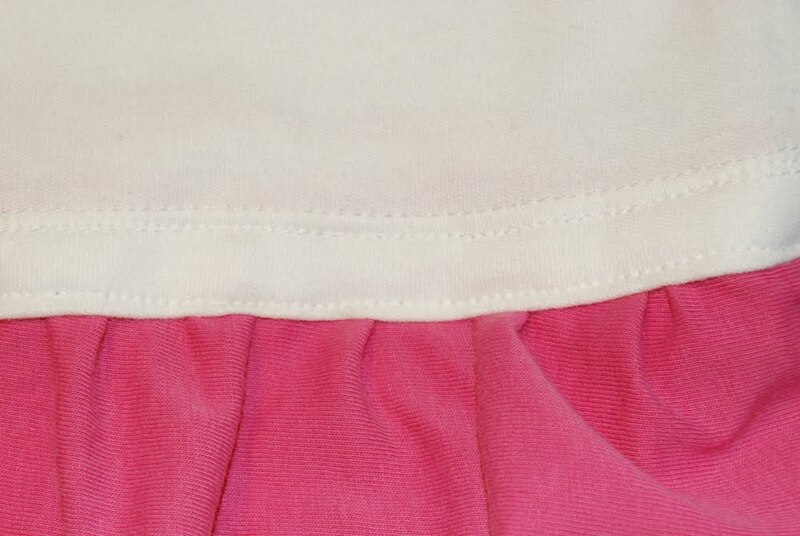 I love the alternating colors in the ruffles!! Hey! That ribbon is from New York! Great idea! 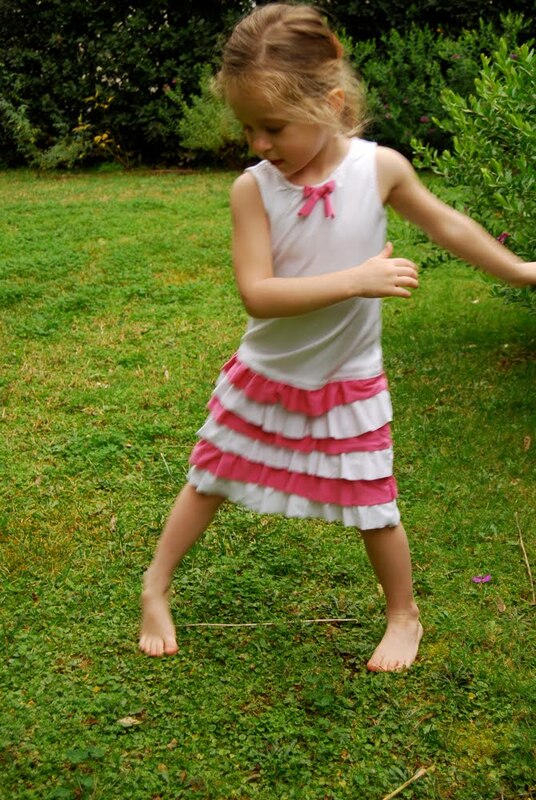 The dress is adorable, and I just happen to have all of the supplies on hand – my girls will love this! 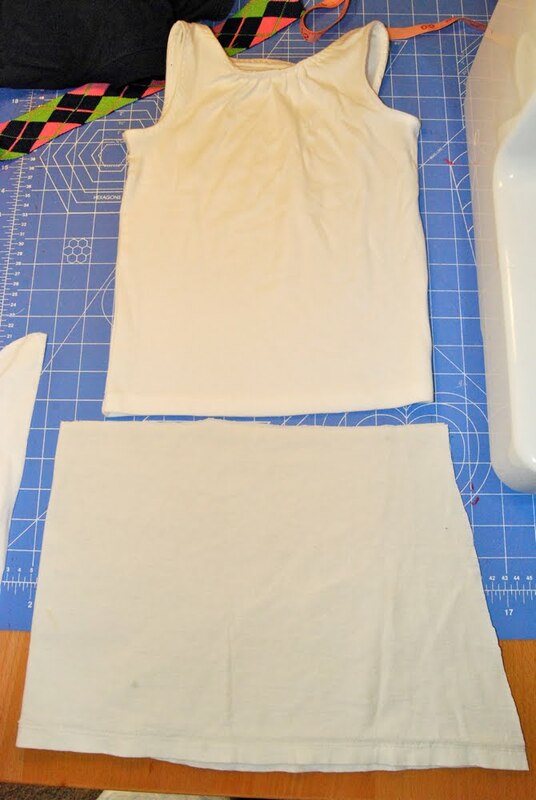 OK I just made something similar to this and since I am way novice at sewing my only question is how do you fit it on the sewing machine? 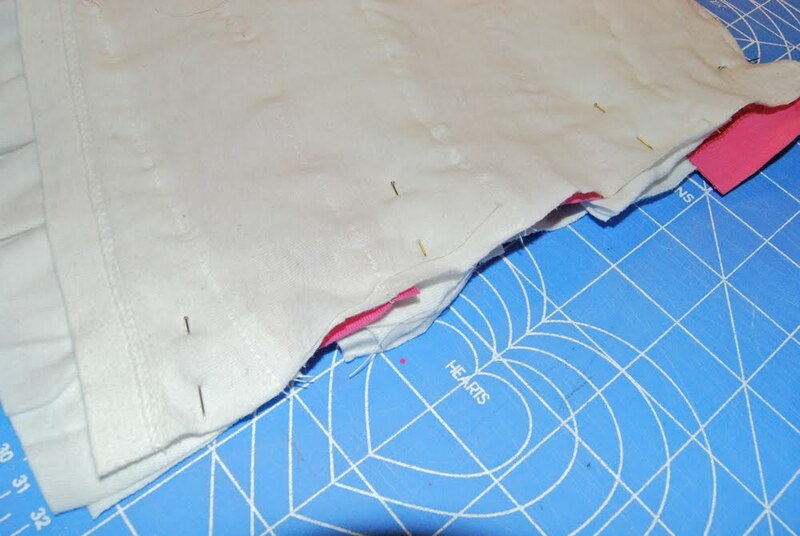 Once it is all pinned together and you are sewing skirt to shirt I can’t get it on my machine without sewing both layers or a random ruffle or sleeve. Please help! I love this! Thank you so much! 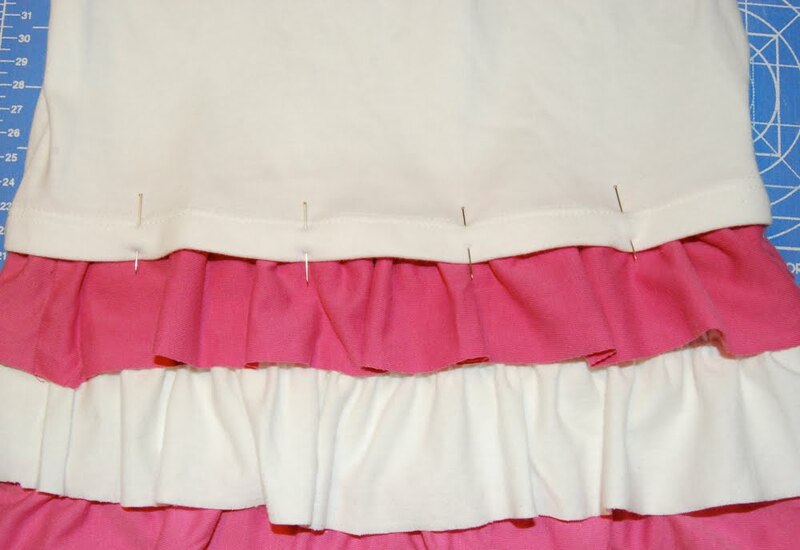 I actually wanted to make a ruffle tiered SHIRT and I couldn’t find a decent tutorial showing me how to apply ruffles, but this one is so well explained: I just love it!